Why Self Storage at GTW? So, you need a personal self-storage service. You might be moving house, moving abroad or just want to de-clutter. Whatever the reason for storing GTW is here to help! We’ve got a range of competitively priced personal self-storage options and we will always help you find the smallest space possible; so you only pay for what you need. Use our handy guide below to estimate the amount of space you’ll need and what it will cost. How Much Self Storage Space Do I Need? Cupboard space / Smaller again? Only want space for those small items you can’t fit in anywhere else, or don’t use very often? We have space for you. Our small units range in size from just 8sq ft, and with a minimum rental period of only one month, we can offer the perfect solution for your needs. It really couldn’t be simpler. Send us an enquiry online, give us a phone, or come to visit us in person to see our self-storage facility. Our knowledgeable and friendly staff will be pleased to show you around and advise you on the best, most cost-effective household and personal self-storage solution for your requirements. You can simply load up your car or van and bring the items to us or if you want help moving our removals service might be of interest. Do you need boxes, wrapping, sellotape, string, trolleys, ladders, more? Don’t worry; we have all of your storage essentials taken care of too! We know, we’re good. Anything we haven’t covered? Check the FAQs. Whether you are moving to a new house down the road or relocating to a different country, there’s nothing simple about moving house. 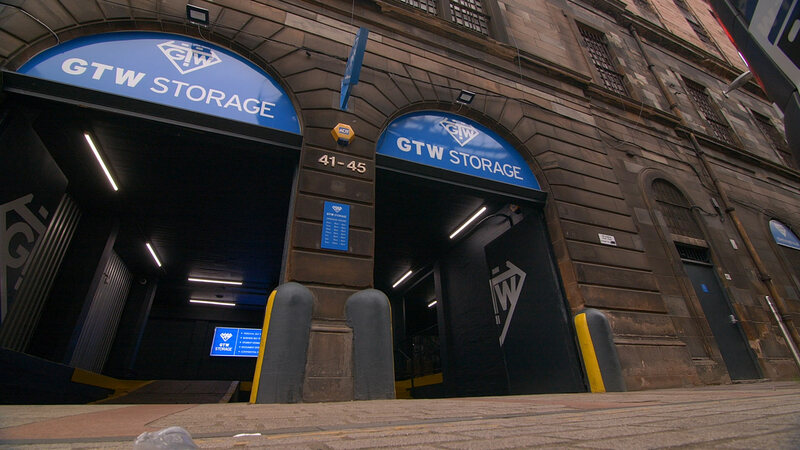 At GTW Storage we know that moving home really can be a very stressful time which is why we have a range of different storage solutions you can take advantage of. So if your new home isn’t ready yet or you don’t quite have the paperwork finished, we can give you peace of mind with our easy to use storage service. Sometimes you just have to have a clear out at home. We can accumulate so much it can become overwhelming, sometimes even leading to stress over the mess at home. When it gets to that stage there’s nothing for it, you need to declutter. But, permanently getting rid of your possessions can be stressful in itself, so why don’t you consider storing them until you can decide what you’d really like to do? Get in touch with our friendly team to find out more about our home storage options. Renovating your home or undertaking a DIY project can be stressful, so that’s why we offer a range of secure storage solutions to take the hassle out of your home improvements. Living in a small building site isn’t ideal, you might find yourself struggling for space. Consider storing your large items like couches and cabinets while you work. We have secure facilities that are clean and dry. If you go travelling or work abroad for several months then you will need peace of mind that your possessions are safe at home. You’ll need secure, convenient, and affordable storage space for your belongings and that’s exactly what we can offer. Get in touch with a member of our team to discuss how we can tailor a solution to your requirements. To discuss any of our services or your specific storage needs, call us on 0141 221 4727.